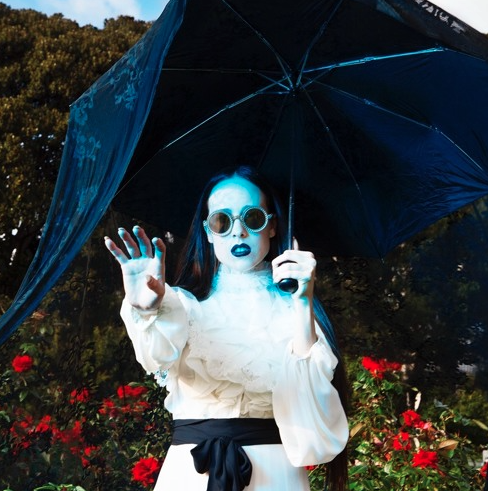 SnapCacklePop: We will never have enough of Allie X..! We will never have enough of Allie X..! Following the news that Allie X will be releasing her first UK EP, Catch, you can now listen to a brand new track from the EP, 'Never Enough which is truly amazing. Allie X comments, "'Never Enough' xplores the idea of being in 'love' with someone to the point where a relationship self implodes. Very often people feel a 'burning love', but that feeling doesn't seem to sustain itself. 'Love' isn't enough to keep two people together." But a pop icon who appears fully formed, perfectly realised, with no rough edges and a cast-in-stone persona, Allie X is not. The X she added to her name for this phase of her career is not insignificant. "If you need to become anonymous and wipe the slate clean, X gives you the power to do that, she explains. In mathematics, X represents the unknown quantity: its full of possibility. Once all the questions are solved, X becomes something else." At that point, she explains, Allie X will have found the missing part of herself. Eventually, if all goes according to plan, I wont be Allie X any more, she adds, Ill just be Allie.Having amassed a cult following of Xs in the US, Allie Xs first UK release drops at the end of November and is accompanied by a new lyric video for lead single, Catch that you can find in our Introducing feature. The EP also includes brand new track Never Enough plus a remix for Catch by London Producer, Kat Krazy. Still no news on releasing or coming to Australia. The Catch EP is however just a taster of whats to come, with more new music, paired with Allie Xs signature style visuals, coming very early next year, and making Allie X a definite one to watch for 2016.